Newt Gingrich received $12,400 in donations on this day. Newt Gingrich received $7,100 in donations on this day. Newt Gingrich received $3,700 in donations on this day. Newt Gingrich received $2,475 in donations on this day. Newt Gingrich received $4,450 in donations on this day. Newt Gingrich received $1,300 in donations on this day. Newt Gingrich received $38,305 in donations on this day. 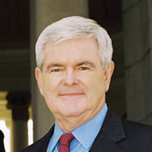 Newt Gingrich received $16,800 in donations on this day. Newt Gingrich received $27,450 in donations on this day. Newt Gingrich received $11,080 in donations on this day. Newt Gingrich received $9,750 in donations on this day. Newt Gingrich received $3,000 in donations on this day. Newt Gingrich received $8,250 in donations on this day. Newt Gingrich received $15,450 in donations on this day. Newt Gingrich received $200 in donations on this day. Newt Gingrich received $3,950 in donations on this day.